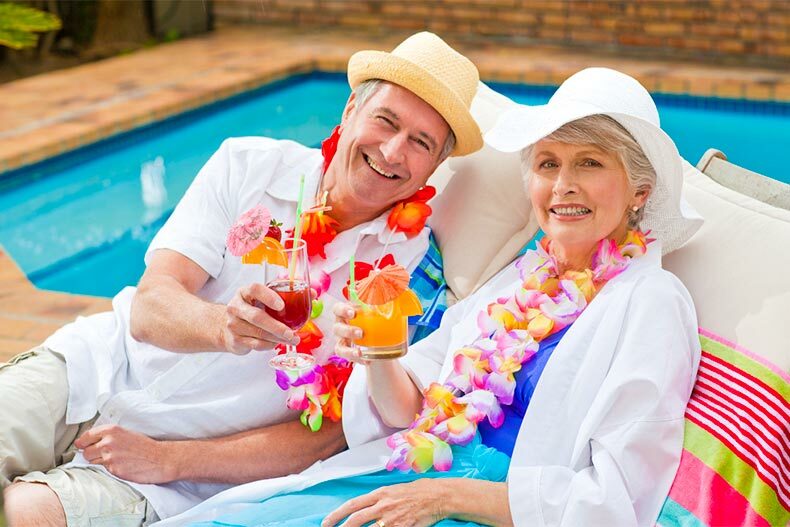 Retiring in Florida is a goal for many. Here's why and how to do it. According to Pew Research Center, Florida is the state with the highest percentage of residents 65 years of age and older. 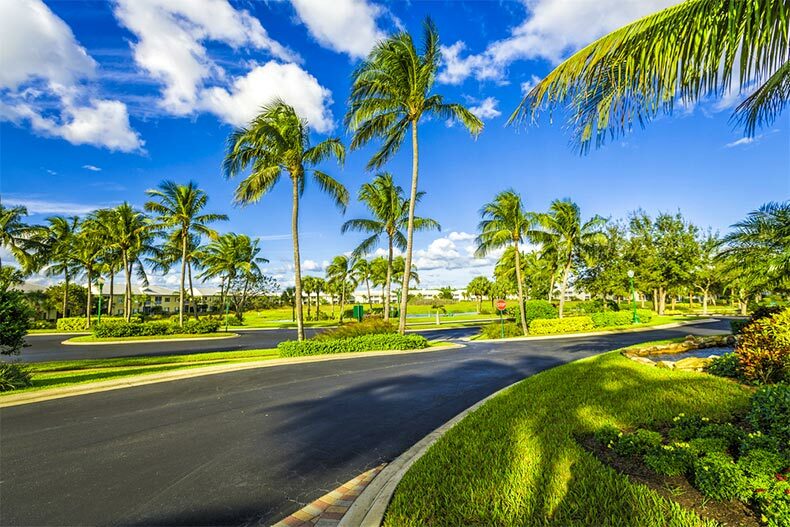 People retire here for year-round warm weather, championship golf courses, international airports, ample opportunities for recreation, and friendly taxes. There’s also a low cost of living and a lot of affordable housing, especially for buyers looking for something in a 55+ community. Retiring to Florida is possible, and the relocation can be seamless if you’re prepared for the shift in economics, culture, and weather. Good news for active adults coming from a state where taxes are presumed to be too high: Florida doesn’t have a state income tax, and property taxes are lower than most northern states, according to the nonprofit Tax Foundation. The cost of living is reasonable, even in large metropolitan areas. A recently released cost of living report shows that Jacksonville, Orlando, and Tampa are some of the most affordable cities in the country to live. Generally, residents can expect to pay less in Florida for things like utilities, food, gas, and consumer goods. Florida is great in the winter, but be wary of summer weather. Yes, it’s warm. Yes, it’s sunny. Yes, you can wear flip flops in February. The weather in Florida is unbeatable, especially if you like year-round golf and alluring autumn beach days. The tropical climate can have its drawbacks, however. Prepare for sweaty summer days and a lot of humidity. Hurricane season runs from June 1 to November 30, and the entire state of Florida, from the Gulf Coast to the Atlantic is at risk for tropical storms, heavy rains, and full-strength hurricanes. New Florida residents won’t have to worry about high heating bills, but it’s important to find a home with efficient air conditioning and good insulation. Many new homes have hurricane shutters. Visitors to Florida enjoy spending time at Disney World, celebrating spring break in Daytona Beach, and driving through the Florida Keys. Save these activities for when the grandkids visit and turn your attention towards some of the local Florida wonders that are well worth exploring. Art and culture are thriving in Florida. The Dali Museum in St. Petersburg, Ringling Museum in Sarasota, and Cummer Museum of Art in Jacksonville are some of the best in the state. The Norton Museum of Art just opened on February 9 in West Palm Beach. Something really special to explore is the architecture on the campus of Florida Southern College. Most of the buildings were designed by Frank Lloyd Wright. Local Floridians love their nature, their wildlife, and their waterways. 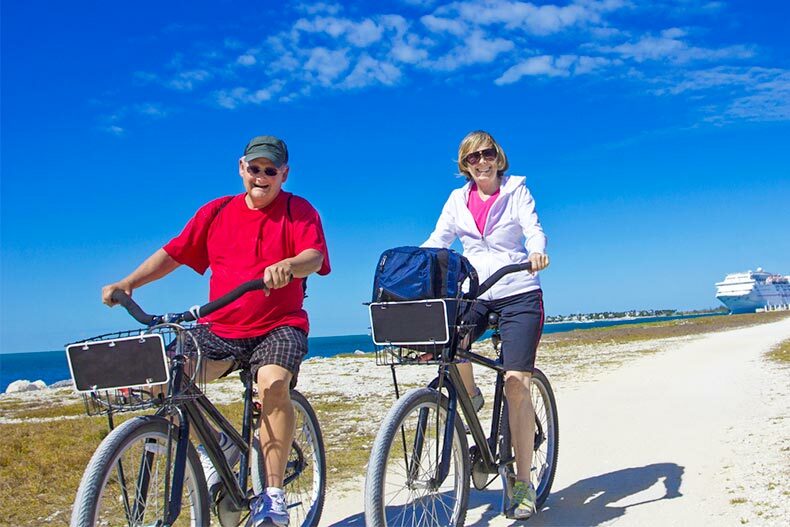 Hiking, biking, and equestrian activities are popular, and the Florida State Park System has 175 parks that offer natural springs, scenic hiking trails, and opportunities for boating, fishing, swimming, and wildlife watching. It’s not unusual to spot flocks of wading birds, alligators, snakes, and gopher tortoises sharing the forests and wetlands Sometimes, there’s a black bear sighting. Beach life is ever-present on Florida’s 1,350 miles of coastline. On the northern Atlantic side, visit the wild and windswept beaches at Big Talbot Island, right outside of Jacksonville or Anastasia Island near St. Augustine. Popular coastal spots for locals that are farther down the Atlantic coast include Ormond Beach and Delray Beach. On the Gulf side of the state, Clearwater Beach has white sands, crystal waters, and a pier where people in the Tampa Bay area gather to watch astonishing sunsets. Venice Beach is also good for sunsets as well as shark’s teeth. Tiki drinks abound in coastal Florida. The Florida Department of Highway Safety and Motor Vehicles requires new residents to register their cars and obtain a new driver’s license within 10 days of establishing residency. You’ll need proof of insurance and something showing your new address. The State of Florida provides a Residency Guide where new retirees can get information about job opportunities, real estate, social services, and access additional consumer information.